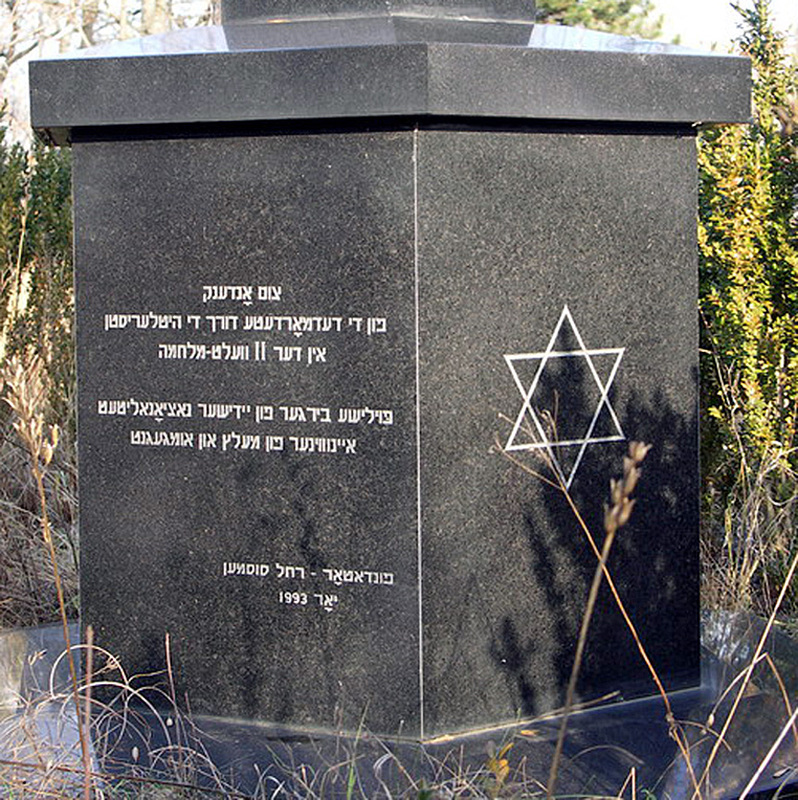 In 1993 Mrs. Rachela Sussman of the US had the remaining part of the Old Jewish Cemetery fenced in and a monument erected with inscriptions in English, Hebrew and Polish. 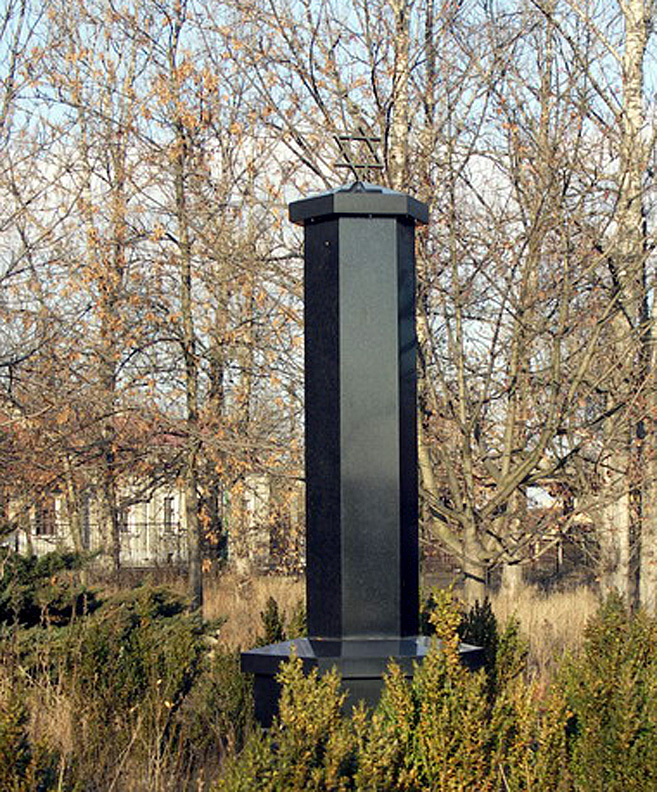 The Memorial Monument is a hexagon [six sided] obelisk built in black granite. At the top there is a Magen David [Star of David]. 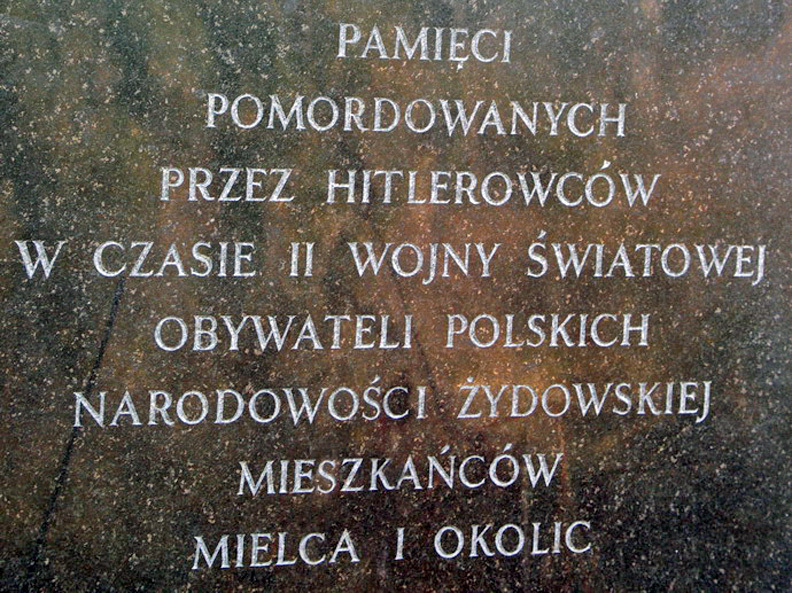 The base of the monument has three Magen Davids and three inscriptions: English, Hebrew and Polish. Jews of Mielec and vicinity. Close-up photo of the Memorial Monument. Note the Magen David (Star of David) on top.